This is a story about a Scottish craftswoman, +Eunice Wilson, who is having a runaway success with her hand-made Christmas gifts made from upcycled leather. Think product, timing and luck….because the idea of hanging books around your neck, off your ears or on your wrists doesn’t immediately seem such a clever one. Unless that is, the books are miniscule and exquisite. Product, tick. 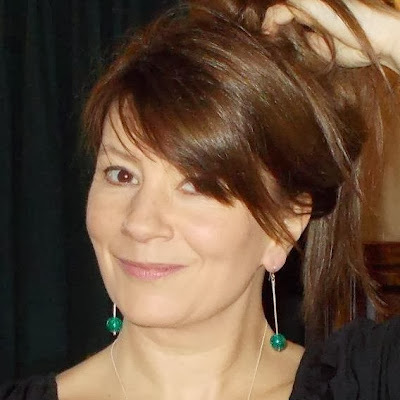 Eunice Wilson, a book freak if ever there was one, hit on the notion of making tiny books out of recycled material into jewellery and cufflinks and they are proving hugely popular in the run up to Christmas. Timing, tick. the +Bodleian Library Shop in Oxford was looking for items to sell in its Christmas shop. 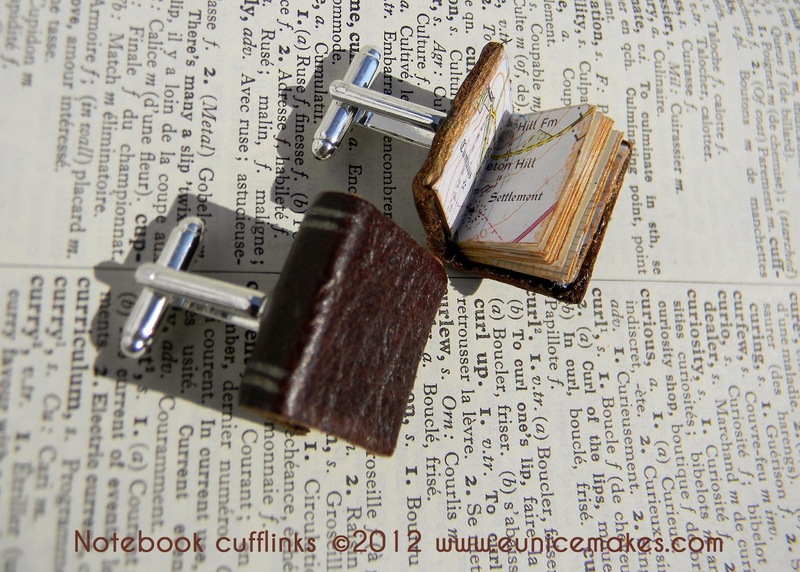 Needless to say, Eunice's hand made book jewellery immediately struck them as a must-have. And even before the Christmas rush begins in earnest, Eunice is literally being inundated with orders coming through the Bodleian. Right product, right time and a dash of ...luck, tick. Eunice has always sewn lovely items (see her shop on +Not On The High Street on and her +Little Sewing Society website) but one day, inspired by the plethora of books lying around her home, she experimented with sewing scraps of upcycled leather into tiny book bindings enclosing little paper booklets. With these, she formed cufflinks, brooches and pendants. She reckons 80% of the material is recycled, much of it left over from previous projects. Like so many of the craftspeople I interview for this blog, she hates waste and thinks it is just a bit lame to buy new materials for her work. She will resort to using off-cuts from furniture and shoe factories once her current left over supplies run out – which with current demand, they are threatening to do! Once the Christmas rush is over Eunice – who is skilled in silversmith work too - will start using silver findings to add a touch of sophistication to her bookish products. I have already alerted her to the recycled precious metals producer in Birmingham, +Stephen Betts & Sons Limited ! One last thought - any ideas on what other decorative item could Eunice make with her tiny books?